High occupancy vehicle lanes leave no one worse off. By far the largest federal infrastructure grant program in the United States is for highways and urban mass transportation, totaling $60 billion in 2011 alone. Two of the three most recent multi-year authorizations for surface transportation programs, enacted in 1998 and 2005, featured equity in their formal titles. Many states argued that, to be equitable, federal highway aid should mirror revenue flows from each state into the federal Highway Trust Fund. In contrast, few argued for equity on behalf of the poor and disabled. We are now in the midst of new debates about funding for surface transportation, and how to manage road congestion in an era when major capacity expansion is rarely feasible. These debates are also routinely framed around conceptions of equity. In this article, I seek to explain the distinctive nature of equity debates in US surface transportation, with particular attention to congestion pricing and High Occupancy Toll (HOT) lanes. Equity encompasses the ideas of fairness and equality in some form—if not of incomes, then in relation to the law or access to public services. But the concept of equity is also exceedingly general, and every political group tends to claim its mantle, even when their aims are diametrically opposed. I focus here on four operational definitions of equity, grouped into two sets that have been the most salient in recent surface transport deliberations (Table 1). 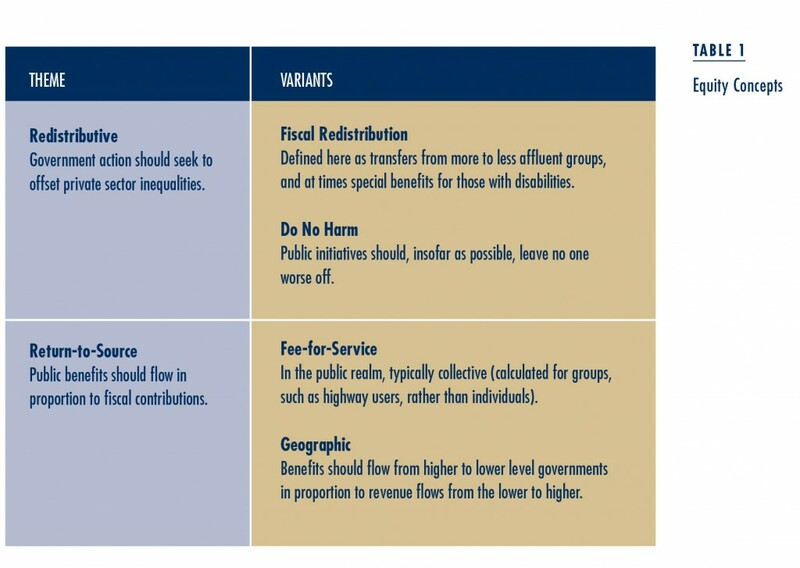 Set 1, Redistributive Equity, involves variants on the theme that government action should seek to offset private sector inequalities. Set 2, Return-to-Source Equity, involves variants on the theme that benefits should flow to those who have paid for them. Most successful equity claims in transportation policy are of the return-to-source variety. 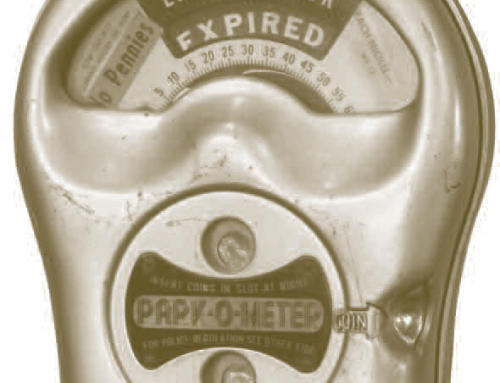 Consider the multi-year authorization statute enacted in 2005, known as SAFETEA-LU, the Safe Accountable Flexible Efficient Transportation Equity Act: A Legacy for Users. The Act’s section on equity focused exclusively on guaranteeing that each state receive at least a 90 percent return (rising to 92 percent in 2008) of its contribution to the Highway Trust Fund. Americans harbor very different conceptions of equity when thinking about the private and public sectors. In the private sector, they sharply distinguish equity from equality, viewing inequality as a vital incentive on which prosperity depends. In the public sector, by contrast, they are highly suspicious of privilege and believe that services should be provided to the residents of any jurisdiction either equally (garbage collection, water supply) or on the basis of need (compensatory education, safety nets for the poor). For the most part, these attitudes about equity simply coexist. When they come into conflict, it is usually in the context of disputes about the appropriate scope of government. In domains framed as economic (banking regulation, development tax incentives), overarching policies typically aim to help businesses flourish. In domains viewed as quintessentially public (government personnel policies, most social policies), egalitarian norms tend to predominate. The organizations that make, sell, fuel, and maintain them, and the organizations that use them for shipping, are almost all private. These are tendencies, to be sure, not absolute dichotomies. What is pertinent in the framework of this article, however, is that most transportation policies have been framed squarely as economic, with little or no focus on redistribution. There are some obvious reasons why. Most of the vehicles are privately owned and operated. The organizations that make, sell, fuel, and maintain them, and the organizations that use them for shipping, are almost all private. This pattern carries over into politics. Dominant interest groups—companies and their trade associations—have long framed the government’s role as mainly to facilitate private travel and investor-driven economic development. Public officials often play leading roles in the development of transportation policy and project proposals. These officials typically do so in close concert with transportation business interests, judging that little can be achieved without their support and nothing can be achieved in the face of their opposition. Public officials routinely emphasize as well that their proposals are equitable, but overwhelmingly with a focus on geographic and/or user group rather than redistributive equity. This is not the entire story. Unlike the rest of the transportation system, mass transit is today almost entirely public, including vehicle ownership and operation. It is roughly four-fifths taxpayer financed, with the tax revenue drawn from sources unrelated to transit use. And one of its core functions is to serve those without easy access to cars. Issues of redistributive equity are, therefore, more salient in mass transit than other sectors of transportation policy. 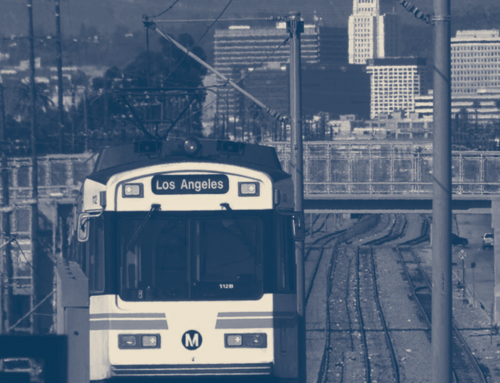 Even in the transit sector, though, services that sharply target the poor and disabled have found traction mainly in campaigns to broaden the coalition for conventional highway and transit expenditures. And redistributive equity is marginal even within mass transit. As John Pucher and others have documented, for example, though low-income transit users rely mainly on buses, transit subsidies have consistently been skewed heavily toward rail systems. This is not to say, however, that low-income households rely primarily on transit. John Pucher and John L. Renne have documented that as of 2001 members of urban households with incomes below $20,000 made 76 percent of their trips by auto and just 4.6 percent by transit. 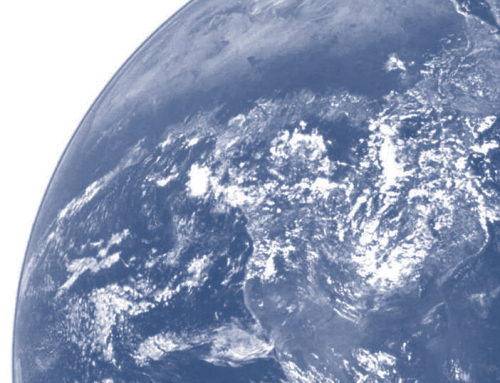 Reform is in the Air: What is Equity’s Place? Much debate in recent years focuses on rectifying perceived shortfalls in surface transport finance. Since Congress last raised the federal gas tax in 1993, inflation has cut its buying power by one-third, and Highway Trust Fund expenditures have consistently exceeded income since 2001. A variety of national study groups have sought to address this problem in recent years. On the subject of equity, their analyses have scarcely varied. By way of illustration, consider the National Transportation Policy Project, which took place under the auspices of the Bi-Partisan Policy Center. Its 25 members, of whom I was one, included a mix of former public officials, business people, nonprofit representatives, and academics. The final report was unanimous. Consensus on a definition would be impossible to achieve. The equity claims with greatest force in transportation politics are put forward by states and user groups seeking benefits in proportion to their fiscal contributions. Including redistributive equity as a program goal would severely divide the committee itself, and such a divide would undermine its mission. Within a few minutes it was clear that the great majority of members found these arguments compelling, so the committee moved on. The committee did return to equity, however, when laying out its specific recommendations. Here it urged creating a small Essential Access Program providing aid to the states “to ensure that transportation remains accessible for the underserved and disadvantaged.” It recommended that 2 percent of federal funding be allocated for this program. 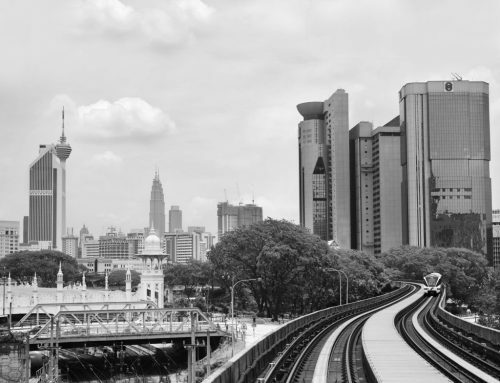 Though surface transportation policies rarely identify redistribution as a policy goal, the interests of disadvantaged people often loom large as constraints on policies and projects. American government is, for good reason, commonly described as a veto-group system. To succeed, the champions of new policies or spending commitments must typically prevail at many decision points, often at multiple levels of government, and at times with requirements for super-majorities (as in the US Senate). Opponents, by contrast, need to prevail only once. This structure empowers any group seeking to block new policy and project initiatives—most commonly groups representing the rich and powerful, but also at times those representing the disadvantaged. Such veto power is even more important for the disadvantaged because—weak in resources and organizational capacity—they rarely have the capacity to pursue more proactive agendas. 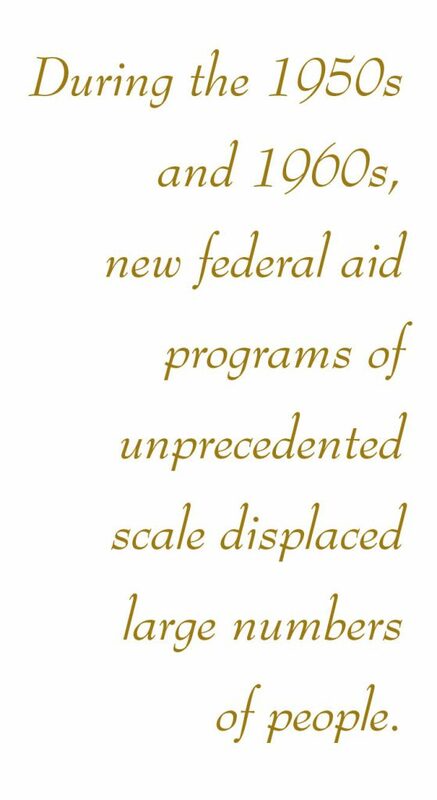 During the 1950s and 1960s, new federal aid programs of unprecedented scale—most notably, for freeway construction and Urban Renewal—did for the first time displace large numbers of people. These programs seemed unstoppable at first, but within 10 to 15 years of hitting the ground they provoked intense opposition, including full-blown riots. This opposition in turn led to laws mandating citizen participation, strict environmental standards and review procedures, and strong protections for public open space and historic sites. An ideological shift accompanied these developments. Community benefits could no longer be justified by the utilitarian standard of “the greatest good for the greatest number.” It became less acceptable to displace people who happened to be in the way, despoil the environment, or destroy precious amenities such as key historic sites. Though originally applied to projects involving physical displacement, the same principle is now frequently invoked against fiscal proposals that would disrupt prevailing lifestyles for significant numbers of people, such as fuel tax increases or new highway tolls. In our book, Megaprojects, David Luberoff and I labeled this new ethic “Do No Harm.” In most cases, it simply leads policy makers to reject or redesign proposals that leave some groups notably worse off. But it also has a significant redistributive component because development initiatives have been far more likely to harm the poor than the rich. 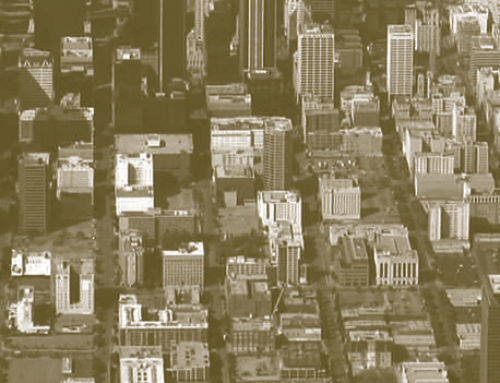 Poor neighborhoods are frequently viewed as blights rather than assets. They are weakly represented in the corridors of power. And they are less equipped to cope when their lives are disrupted. Congestion Pricing: Why So Difficult? 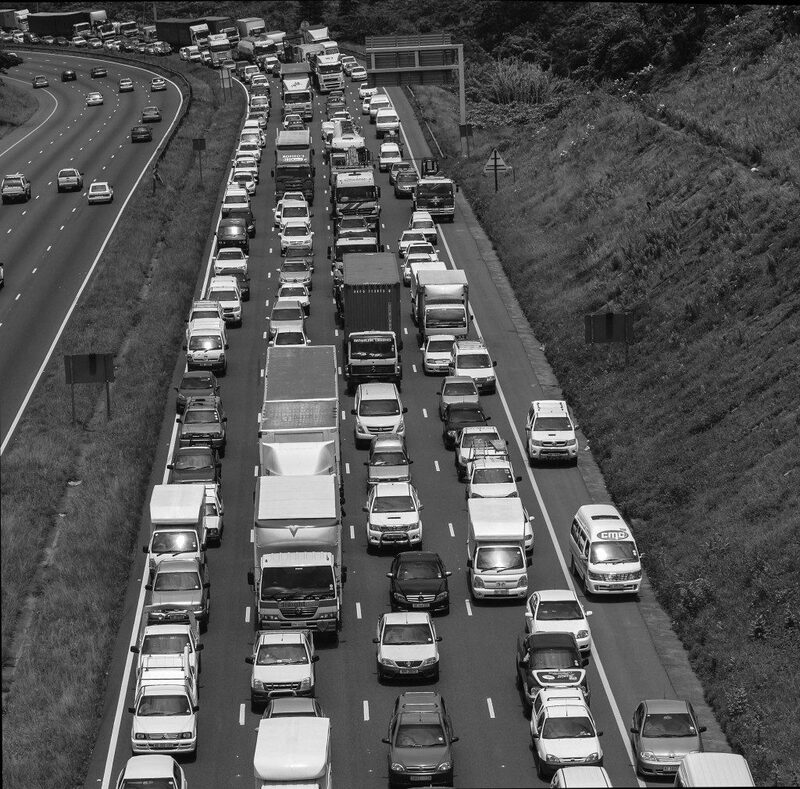 When academics address surface transportation policy reform today, they invariably recommend road pricing to internalize the costs of negative externalities that motorists impose on others, such as congestion and pollution. The simplest proposal, at least conceptually, is congestion pricing. Congestion pricing proposals have made some headway abroad, but little so far in the US. Principal obstacles include: entrenched perspectives rooted in history (path dependency), equity arguments from groups opposed to rationing by price in the public sector, general anti-tax sentiment, and the many opportunities for minority veto discussed earlier. The first two are tightly linked in that the equity arguments hinge on a path-dependent understanding of roads as quintessentially public. Americans have been conditioned to think of roads as thoroughly public, more akin to public parks and schools than to telecommunications, aviation, or power networks, and thus properly organized around egalitarian rather than market norms. Road pricing proposals invite the charge that they favor the affluent in use of a public resource. 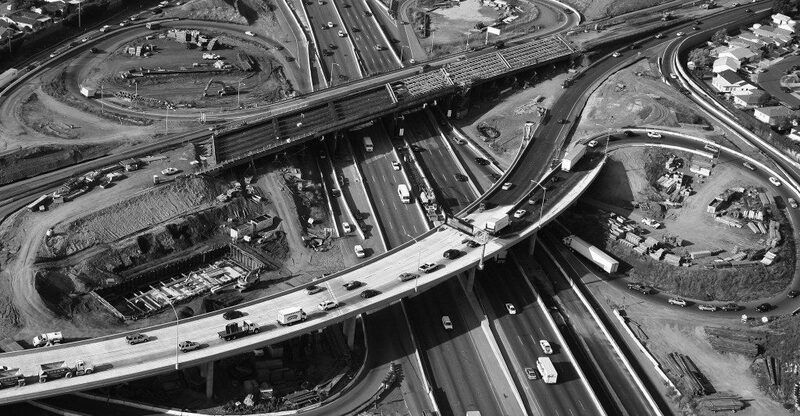 This critique has not precluded the use of toll financing to construct freeways, bridges, and tunnels where tax resources have been unavailable, but the rationale for the tolls has invariably been to pay off the bonds. The rationale for tolling has never been to manage demand. Political leaders have recently sought to implement congestion pricing in a few exceptional cases. These initiatives have taken two forms: Central Area Pricing, involving charges for driving in the central business districts of large cities, and High Occupancy Toll (HOT) lanes in congested freeway corridors. Central Area Pricing, blocked primarily by redistributive equity objections, has so far made no headway in the US. In contrast, many American cities currently operate HOT lanes, with tolls that vary in real time to manage congestion, and many more are on the drawing boards. How have HOT lane advocates overcome the usual obstacles to congestion pricing? HOT lanes evolved from two road management innovations of the 1960s and 1970s: bus-only and High Occupancy Vehicle (HOV) lanes. When cities realized that new freeway construction could not keep pace with rising traffic, they first dedicated lanes within existing roads for buses only. But only a few corridors in the United States carried enough buses to utilize most of the capacity of a freeway lane. This underuse led to the idea of admitting carpools with three or more occupants, and the bus lanes became HOV lanes. In most cases, however, these HOV lanes also proved to have conspicuous unused capacity, which irritated motorists in the adjacent, congested lanes. Beginning in the 1980s, most HOV lanes opened to two-person carpools as well. Even this rarely solved the problem of apparent wasted capacity. In response, several HOV lanes were actually converted back to general-purpose use. HOT lanes initially provided hope that they could attract private investors to expand the pot of money available for highway improvements. The HOT lane idea provided a solution: allocate the spare capacity by price. HOT lanes initially provided hope that they could attract private investors to expand the pot of money available for highway improvements. And the first HOT lane facility did so. The developer received a 35-year franchise to build four new lanes within the right-of-way of SR-91 in Orange County, California, one of the nation’s most congested freeways. Within three years of the project’s opening in 1995, however, a fierce dispute broke out between the developer and public authorities over a state-county plan to improve SR-91’s general-purpose lanes. The developer insisted that a non-compete clause in its contract precluded any such public investment, since the HOT lane project’s viability as a private investment required severe congestion on the parallel free lanes. This struck many as an equity issue. Following several years of litigation, the Orange County Transportation Authority bought out the developer’s interest for $208 million. All subsequent projects were purely public until the Capital Beltway (I-495) in Northern Virginia, completed in November 2012. This 14-mile project added two HOT lanes in each direction and was financed with a mix of public and private funding. The main incentive for private investors is an 85-year concession period. Controversies about income-based equity delayed some early HOT lane proposals, but the HOT lane advocates have successfully demonstrated that users include representatives of all income groups (though not in equal proportions) and that their shift into HOT lanes slightly alleviates congestion on the unpriced lanes as well. Opinion poll data, although scarce, indicate little difference by income class in attitudes toward HOT lanes. A 2001 survey of both HOT lane users and non-users in San Diego, for example, found broad support, with the highest support among the lowest income group. A 2006 poll in Minneapolis also found broad support across all income levels, including 64 percent of low-income respondents. Table 3 shows the HOT lanes in operation as of 2012, their opening dates, and their rules about the number of occupants required for private cars to avoid toll charges. The great majority are free to carpools with two or more occupants as well as transit buses, vanpools, emergency vehicles, motorcycles, vehicles with handicapped and often veteran’s license plates, and in some cases clean fuel vehicles. The others are free to carpools with three or more occupants (with one minor exception, where tolls are levied on 3+ carpools for two peak hours each morning in one direction only). 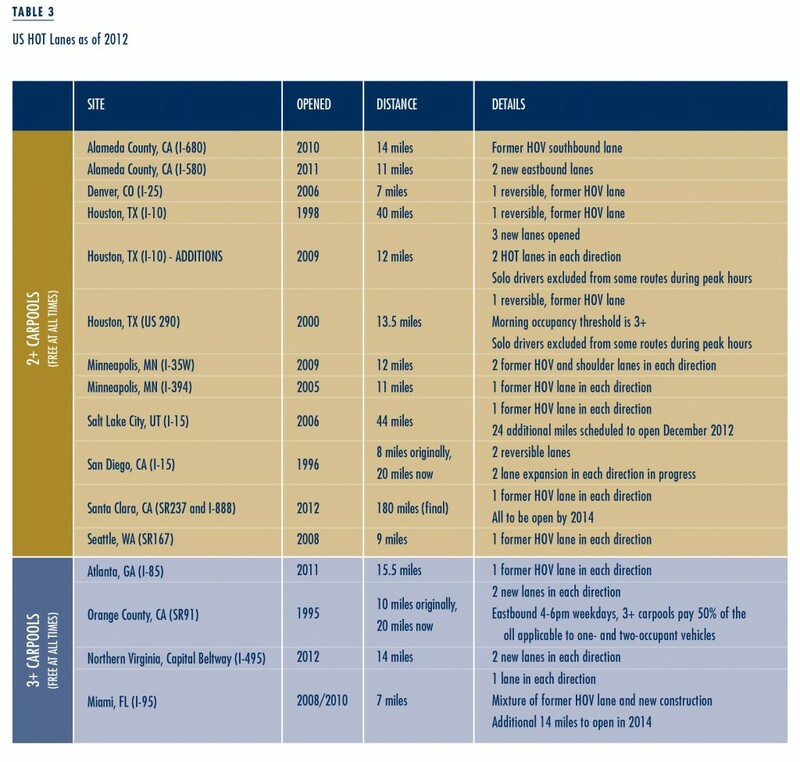 In addition to the ten HOT lanes then in operation, a 2009 Federal Highway Administration study found 60 projects at various stages of planning or design, and numerous others have since been announced. Some of the largest initiatives are in Houston, which will have converted or built 138 HOT-lane miles by 2013, and in the San Francisco Bay Area, where the Metropolitan Transportation Commission has announced plans to develop 1,300 miles of HOT lanes by 2035. The latest authorization statute for surface transportation programs, signed into law in July 2012, provides blanket authority for tolling both on new federally-aided HOT lanes and HOV conversions to HOT lanes. Known as MAP-21 (Moving Ahead for Progress in the 21st Century), it specifies that vehicles with two or more occupants should normally travel free on HOT lanes, but with a major caveat. If a facility falls out of compliance with the minimum average operating speed performance standard (normally defined as 45 miles per hour), the state may require higher vehicle occupancy for free travel. HOT lanes…are unique among major congestion-relief options in that they satisfy the “Do No Harm” criterion of equity: they leave no one worse off. In conclusion, HOT lanes appear to be gaining favor for four reasons. They have reinvigorated a traffic-engineering concept—HOV lanes—that had become increasingly vulnerable to the charge of wasting valuable road capacity. They are very low cost relative to other means of expanding expressway capacity. They enable a subset of motorists, who freely choose to pay for it, to save significant amounts of time. And perhaps most important, they are unique among major congestion-relief options in that they satisfy the “Do No Harm” criterion of equity: they leave no one worse off. This article is adapted from “Equity, Pricing, and Surface Transportation Politics,” originally published in Urban Affairs Review. Alan Altshuler. 2010. “Equity, Pricing, and Surface Transportation Politics,” Urban Affairs Review, 46(2): 155–179. Alan Altshuler and David Luberoff. 2003. Megaprojects: The Changing Politics of Urban Public Investment, Washington, DC: Brookings Institution Press. Robert Cervero. 1999. “Reviving HOV Lanes,” Transportation Quarterly, 53(4): 67–81. National Transportation Policy Project. 2009. Performance Driven: A New Vision for US Transportation Policy, Washington, DC: Bipartisan Policy Center. John Pucher and John L. Renne. 2003. “Socioeconomics of Urban Travel: Evidence from the 2001 NHTS,” Transportation Quarterly, 57(3): 49–77. Ruth and Frank Stanton Professor of Urban Policy and Planning at Harvard University; former Visiting Professor at UCLA (2012) (alan_altshuler@harvard.edu).